In 1977 the JCE Group AB, founder of Consafe Offshore AB, built the world’s first purpose built flotel semi-submersible, named Safe Astoria. Since that time, the best solution for short-term offshore accommodation consists of the use of these flotels next to the rig. But these semi- submersible flotels also present some disadvantages: High cost of acquisition. High operation costs. Limited mobility. Lack of multipurpose operation. Complex connection systems. Highly variable operation frequency depending on adverse weather. excellent performance of Edda Fjord, several companies decided to build their own flotel ships. The flotel ship offers the following advantages compared to a semi-submersible flotel: A flotel ship is considerably cheaper to build and operate than a semi-submersible. A ship has considerably lower costs in moving from one site to another, and moves much faster. But flotel ships present also one important disadvantage: a semi-submersible is more stable in motions than a mono-hull (ship-shaped) unit and is therefore more suitable for harsh environments. The problem of roll movement can be minimized for a ship with the installation of active anti-rolling systems, such us active tank anti-roll stabilizers. But the heave movement, the main cause of seasickness, cannot be avoided in a ship. 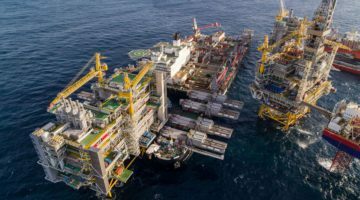 Apart from semi-submersibles and ships, mono-hull barges have also been used for many years to providing extra accommodation for the offshore industries, also offering other possibilities such us heavy lifting or pipelaying. They are normally non self-propelled mono-hull vessels and represent a low cost alternative in benign/intermediate waters. Cheaper than the other types: semi-submersible and flotel ships. It needs tugs for movement. Only suitable for benign and shallow waters, as they are not normally provided with dynamic positioning (DP) systems, and should be anchored. However recently, there has been an increasing number of projects of self-propelled barges (at low speeds) with DP systems, which means that they are becoming the preferred solution for many marine contractors. In some cases, jack-up platforms are used as accommodation vessels, but these are limited to shallow waters of a few metres depth. This is an except of the paper OFFSHORE AND COASTAL FLOATING HOTELS: FLOTELS by M Lamas and L Carral, of the University of Coruna, Spain. Click HERE to download the full document © 2011: The Royal Institution of Naval Architects.